Thank you for reading this legal notice carefully before consulting this site. >> The purpose of the present notice is to define the conditions in which Edikio Evolis is making its web site www.edikio.com available to Internet users and the conditions in which Internet users access and use this site. Any access to www.edikio.com is subject to compliance with the present legal notice which EdikioEvolis reserves the right to modify or update at any time. Access to and use of the site www.edikio.com imply your agreement with the present legal notice. If you do not agree with the clauses below, you are advised not to use this Site. >> Edikio Evolis strives to keep the Site accessible, without however being subject to any obligation to achieve this. It is specified that access to the Site may be interrupted for the purposes of maintenance, updating or any other reason, particularly of a technical nature. Under no circumstances shall Edikio Evolis be liable for these interruptions and the consequences which could result from them for the user. >> The contents (notably data, soundtracks, information, illustrations, logos, brands, etc.) which appear or are available on the www.edikio.com site are protected by copyright and other intellectual property rights and are the exclusive property of their respective publishers. 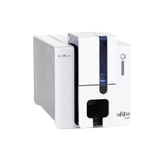 No part of the contents of the Edikio Evolis site in general, even if it belongs to a third party, may be copied, reproduced, represented, adapted, altered, modified or circulated fully or partially by any means whatever, with the exception of a single copy, stored on a single computer and reserved exclusively for the private use of the copier. The elements presented in this site are liable to modification without notice and are presented without any express or tacit guarantee and are not considered as giving any rights of compensation. The information and images contained in the Internet site are protected by copyright © 2017 EDIKIO EVOLIS or covered by its partners’ copyright. The logos are registered trade marks. >> None of the documents from the www.edikio.com site can be copied, reproduced, published, downloaded, posted, transmitted or distributed in any manner, except for the case of a simple recording of documents on your personal computer for your own use and without any commercial aim. In this case, you should ensure that the indications of property are kept intact. Alteration and modification of these documents or use of them for another purpose constitutes an infringement of the property rights of Edikio Evolis or of a third party. >> To correspond with Edikio Evolis by e-mail, internet users must fill in the electronic correspondence forms proposed on the site. >> The documents and information supplied on www.edikio.com are provided ‘as they stand’, without any express or tacit guarantee of any kind. 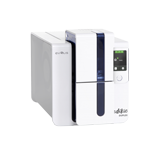 Edikio Evolis reserves the right to modify or correct the site’s contents at any time, without notice. 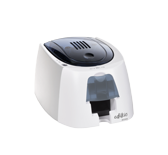 Edikio Evolis cannot be held responsible in the event of contamination of users’ computer equipment as a result of the propagation of a virus or other computer ‘infections’. The site user is responsible for taking all appropriate measures to protect the user’s own data and/or software from any possible contamination by computer viruses circulating via Internet. Edikio Evolis, its employees, suppliers or the partners mentioned on the Edikio Evolis site cannot be held responsible in any case, for claims involving contractual responsibility, criminal responsibility or any other claims, for all indirect or direct damage, incidents and accessories of whatever nature or for any prejudice, particularly of a financial or commercial nature, resulting from the use of its site or any item of information obtained from its site. The information, particularly of a financial nature, provided on the site cannot be considered an incitement to invest or to make transactions of any legal form whatsoever involving Edikio Evolis shares. Under no circumstances should it be interpreted as a solicitation or distribution of shares to the public and it does not constitute an offer involving the purchase, sale or exchange of shares or other Edikio Evolis securities, listed or otherwise. The Site www.edikio.com may contain simple or complex links to Edikio Evolis or third-party partner sites. Edikio Evolis has no control over these sites and therefore cannot be held responsible for the availability of these sites, their content, advertising material, products, and/or services available at or through these sites. Thus, Edikio Evolis shall not be liable in any way for direct or indirect damage that may occur when the user access the partner site or uses this site, and it shall not be liable for any non-compliance of the contents and services with any regulations or for any information that infringes the rights of a third party. Edikio Evolis disclaims any responsibility concerning the information, materials and software on the sites linked by hypertext links to the site www.edikio.com. Certain information presented on the Site is supplied by information providers outside EdikioEvolis. The aforementioned content providers have exclusive liability regarding the contents and services provided by them on the www.edikio.com. Consequently, Edikio Evolis shall not be held liable for errors, interruptions or delays in the transmission of information, or for their consequences. >> Any disputes relating to the Site or to the present legal notice shall be brought before the court at Angers and will be governed and analyzed according to French law, on their merits, independently of the rules concerning conflicting legislation. Use of the Site www.edikio.com indicates your express agreement with the application of the present jurisdiction clause. In the event of one of the elements of these conditions of use being judged illegal, null or inapplicable for whatever reason, it will no longer be considered part of the conditions of use and will not affect the validity or application of the other elements.